Hub Culture is very pleased to be able to make four beautiful diamonds from LMC available to our members. 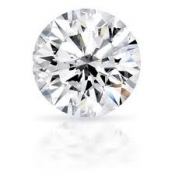 This mesmerizing Brilliant Round 6.34ct Diamond is of moving stock and therefore subject to remaining unsold.... So don't miss out on this great opportunity to get your hands on this amazing BR 6.34 ct H VS2 Ex/Ex/Ex None Diamond today!